As negotiations between Japan and Russia over the status of the disputed Southern Kuril Islands have accelerated under Prime Minister Shinzō Abe’s administration, Moscow has increasingly looked to connect the issue to the U.S.-Japan Security Treaty. This is a longstanding tactic that Moscow has employed to encourage Japan to distance itself from its U.S. ally, and it has found renewed success in influencing Japan’s foreign policy under Abe. Some may be tempted to intervene to remind Tokyo of where its priorities should lie, yet Washington should remain reticent since a heavy-handed intervention may be precisely what Moscow is hoping for. Abe’s Russia policy may be naive and disconcerting to many in the West, yet it should be permitted to run its natural course. For more on Japan-Russia relations, Sasakawa USA’s Japan-Russia Relations: Implications for the U.S.-Japan Alliance provides detailed insights on relationships between Japan, Russia, and the United States. James D.J. Brown is associate professor of Political Science at Temple University, Japan Campus. His main area of research is Japan-Russia relations. 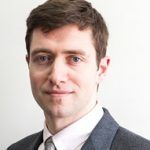 His work has previously been published in International Affairs, Asia Policy, The Asia-Pacific Journal: Japan Focus, Europe-Asia Studies, International Politics, Post-Soviet Affairs, Problems of Post Communism, and Politics. His most recent book Japan’s Foreign Relations in Asia (edited with Jeff Kingston) was published by Routledge in 2017. This paper serves as Issue No. 17 of the Sasakawa USA Forum, a platform for research and analysis related to Japan and U.S.-Japan relations in a bilateral, regional, and global context. In order to gain a more comprehensive view of U.S.-Japan relations, the Sasakawa USA Forum publishes research from experts outside of our organization. Click here for details on how to submit research for consideration.